Synopsis Plantarum 2 (1806) 227. Lamina 25-70 mm long, elliptic to cordate. Variable: from simple, pinnately compound, irregularly bipinnatifid, pinnae 8-25 mm long. Glabrous to hirsute with long adpressed hairs. Petiole 2.5-7 cm, hirsute with long adpressed hairs interspersed with glandular hairs. 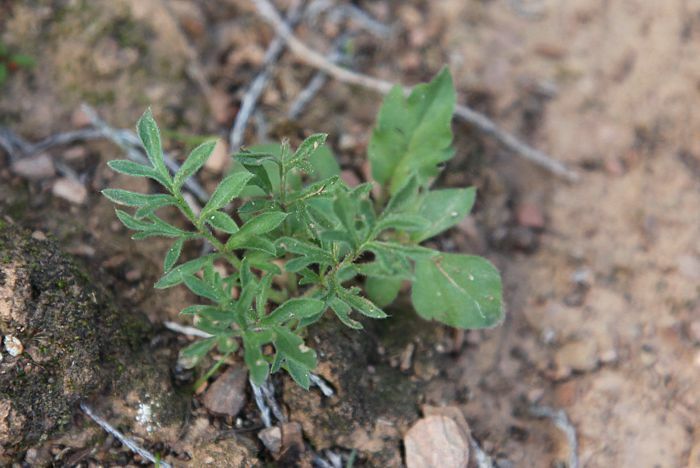 Stipules adnate to petioles with free apices. 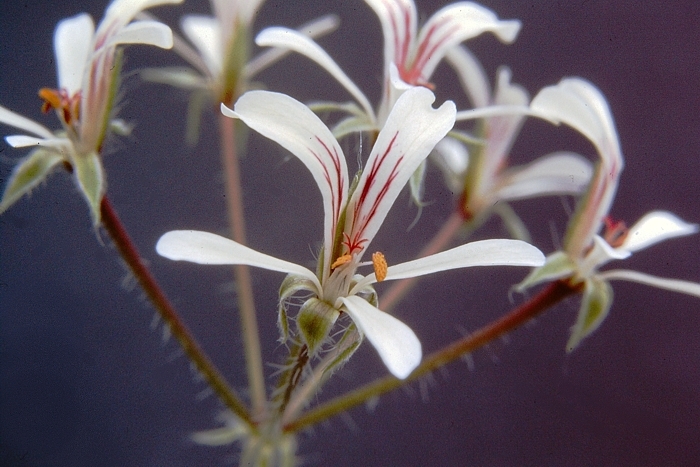 Branched, with 2-5 pseudo umbels, each with 4-14 flowers. Peduncle 2-6 cm, hirsute with curly appressed hairs and long glandular hairs, pedicel ~0.5 mm. 5, lanceolate, posterior erect, others recurved. Hypanthium 28-65 mm. 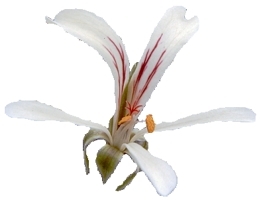 Petals cream to pale yellow, posterior spathulate, apices obtuse to rounded with feather-like markings, 14-22 x 3.2-5.5 mm, anterior 11-18 x 2-4.5 mm. 5 fertile, posterior 2-3 mm, lateral two 3-4 mm, anterior two 5-6 mm. 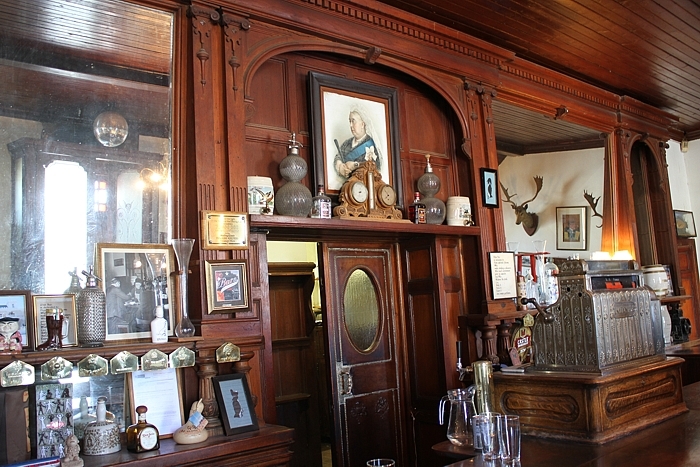 Not quite habitat, but excellent for a pint and heaps of history: Ye Olde English Pubbe in Matjiesfontein. The historic town is a good starting point for botanical explorations with a number of really interesting species frequently found just N of it: P. luteopetalum, P. moniliforme, P. stipulaceum, P. githagineum and many more. 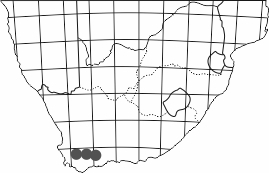 Most, if not all, populations resembling P. fissifolium north of Matjiesfontein and on the Roggeveld Plateau are in fact P. luteopetalum and the above distribution map, while based on Marais's Thesis, has been revised to reflect this. 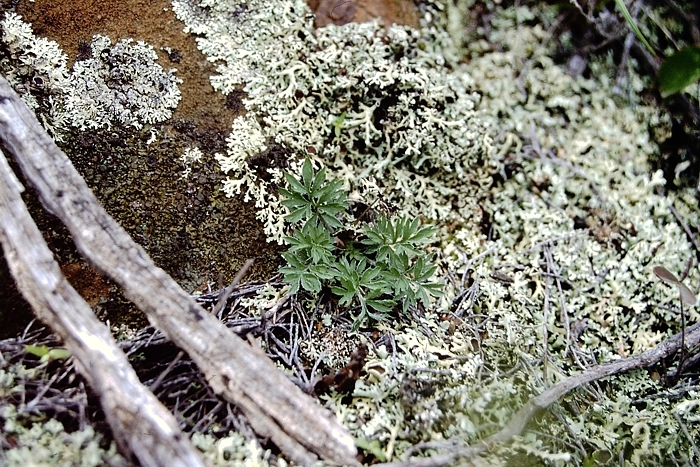 P. fissifolium at Ouberg Pass, 20 km NE of Montagu, where it grows on south-facing hillsides among lichens, in contrast to the photograph at the top, taken in the Karoo National Botanic Gardens near Worcester.